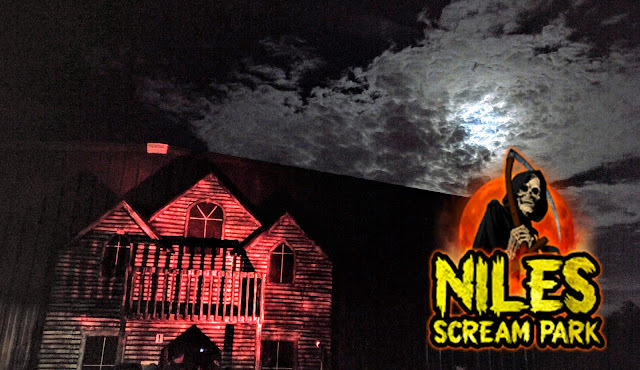 Now in its sixth season, we finally got a chance to make our way out to Acton, Indiana to check out FriteLodge Haunted House! Coming from the south side of Indianapolis, Acton was just a quick trip down Southport Road, hanging a right onto Acton and then a quick left into the parking lot of the Pleasant Masonic Lodge, which is home to FriteLodge. As we pulled into the driveway, the first thing I noticed was a large majority of the actors hanging out in plain sight just outside the building. I didn't put too much thought into it because the night was still young (we arrived at around 7:45 PM) and it was opening night so business isn't quite booming -- just yet. 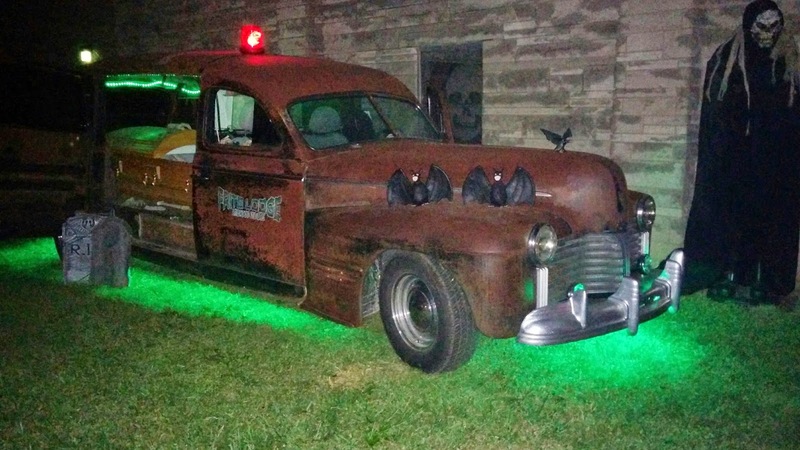 That, and that sweet hearse (pictured up top) was a real head-turner -- I couldn't help but snap a photo. I don't make a convincing severed head. We gladly paid our $10 donation (FriteLodge is a non-profit organization that greatly helps the town of Acton) and made our way to the entrance, but not before taking a photo at their clever little set-up they had just for the occasion (see photo to the right). There's a nice spooky tunnel that leads you to the ticket taker once you enter the building. We chatted for a moment before the seriously-cool garage door that read "FEAR STARTS HERE" lifted. We entered. What happened next was something neither I, or Katherine, expected. We made our way from room to room, dark and ominous passageways and down the blackest hallways imaginable. And in the end? 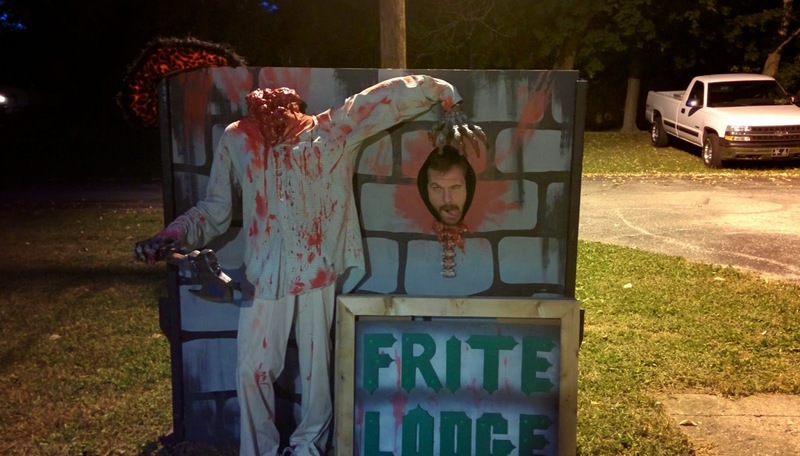 FriteLodge exceeded every expectation for a haunt of its kind that I'd imagined. 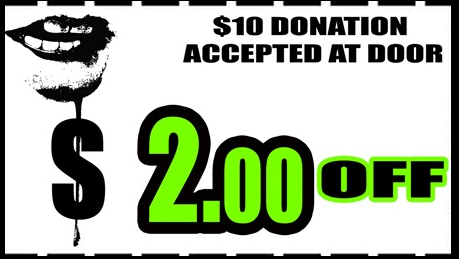 I knew the haunt was non-profit. I knew the actors were volunteers. And yet, FriteLodge delivered arguably one of the best experiences of this young haunt season so far. 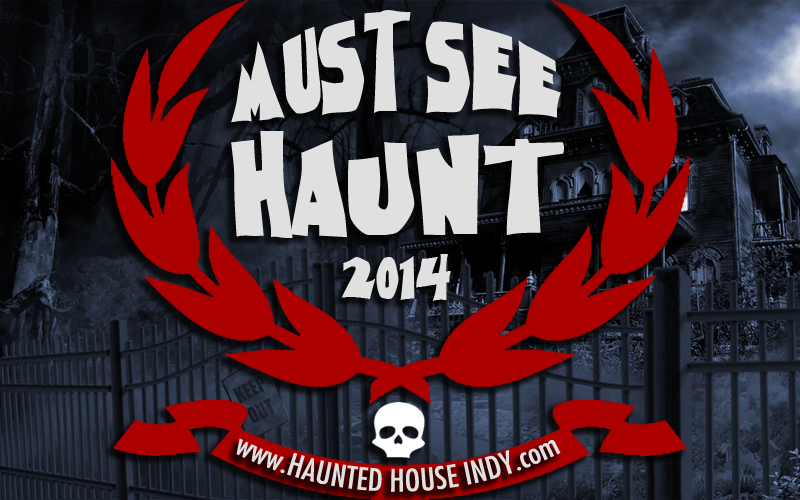 Every room is littered with amazing detail, not unlike that of last week's visit to Niles, Michigan, It becomes glaringly apparent that the man behind this haunt has every ounce of his heart and soul into it -- and it shows. As I stated earlier, the actor reveal(s) while pulling in was my single complaint. And even that isn't a huge deal -- I've accepted much worse from other haunts. The lighting and sound were top-notch, definitely not something I was expecting. Certainly glad I was proven wrong. And the actors were all great. Almost every one of them brought their A-game which is a rarity nowadays. We finally exited the haunt and made our way up the steps at the end. We were more than pleased. Make no mistake about it, FriteLodge can stand toe-to-toe with the big dogs and match them punch-for-punch. And in some cases, come out victorious. If you somehow choose to not make it out to Acton this year for this haunt, then you're doing yourself a great disservice. We actually have a second trip there planned for late October. Oh, yeah, want a $2 off coupon?